The Occupational Safety and Health Administration inspects workplaces to determine whether they are complying with federal safety rules and regulations. Recently, OSHA proposed fines of $279,400 for lumber company Dupont Yard Inc. after inspectors reported health and safety violations at the company’s plant in Homerville, Georgia. The inspection followed a complaint alleging dangerous and hazardous conditions that could lead to workplace injuries, OSHA said in a news release. Dupont Yard is no stranger to safety violations. OSHA said it has found at least 39 violations at the facility over the past six years and has cited the company after four previous inspections. In this most recent inspection, OSHA said it found several willful safety violations. Those involved the company’s failure to implement basic safety rules to keep machinery and equipment from starting up or moving during maintenance activities. This is a serious hazard, because it put workers at risk of amputation, other injuries or death. The inspection also found crushing hazards that involved unguarded and unprotected repeating chains and sprocket wheels. In addition, OSHA said electrical hazards at the plant placed workers at risk of electrocution and other electrical injuries. The agency said it found repeat violations including a lack of proper housekeeping and failure to close electrical panels. It said workers also were exposed to other violations, including the lack of proper lockout and tag out procedures and an accumulation of wood dust on equipment and ledges. Accumulated wood dust can lead to an explosion. 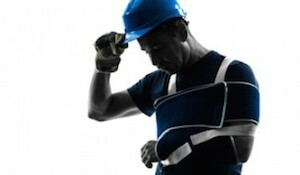 OSHA encourages the public to report any suspected workplace situations that endanger workers. Call OSHA’s toll-free hotline at 800-321-OSHA (6742) to get information, file a complaint, or report workplace injuries or imminent danger to workers.